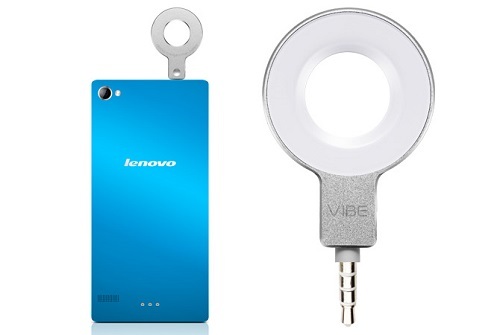 For those selfie loving folks Lenovo introdued the new Vibe Selfie flash in Consumer Electronics Show earlier this year. The Flash allows you to take shots with your non flash front facing camera and allow users to take much better pictures. Also because the flash plugs in to your headphone jack it is easily rotated to allow you to use as an extra flash for your rear camera allowing for more natural tones and colors. This flash will allow you to take up to 100 shots in one single charge. and is only available via Lenovos website.